New Kingdom Hearts 3 Trailer Shows the Dangers of Darkness | Nerd Much? Square Enix has been rolling out a new Kingdom Hearts 3 trailer across North American cinemas recently to build further excitement for the already highly anticipated game. Earlier today, the game’s director Tetsuya Nomura confirmed that the long in development title has finally gone gold. And to celebrate, Nomura released an extended version of the Kingdom Hearts 3 theatrical trailer. The latest Kingdom Hearts 3 trailer showcases the various Disney and Pixar stars that make an appearance. It feels more like a movie trailer than a game trailer, which makes sense considering it originally premiered in theaters. The Kingdom Hearts 3 trailer takes us through a variety of environments. It starts off with Sora, Goofy and Donald Duck witnessing an attack on Hercules‘ Olympus as fireballs rain down upon the city. We then cut to an attack on the San Fransokyo Bridge with Baymax by the group’s side. Hades is then seen calling about the Titans to help him destroy Olympus, and we see an allegiance between Maleficent and Pete to help thwart our heroes. We get quick snippets with Elsa and Captain Jack Sparrow. Flynn Rider and Rapunzel too – with the latter seeming much more capable of helping. We see the Aliens, Woody, Buzz and Rex within a toy store taking down assisting with a giant red dragon like creature that was presumably a toy itself once before. There’s also a quick glimpse of the characters from Monster, Inc. that see Mike and Sully running towards a bedroom door which is being blocked by their continual foe, Randall. The ice monster from Frozen makes a cameo, as does Anna, Kristoff, Sven and Olaf. Wreck-It Ralph literally pops up really quick, and there’s a fleeting glimpse of Ariel from The Little Mermaid. 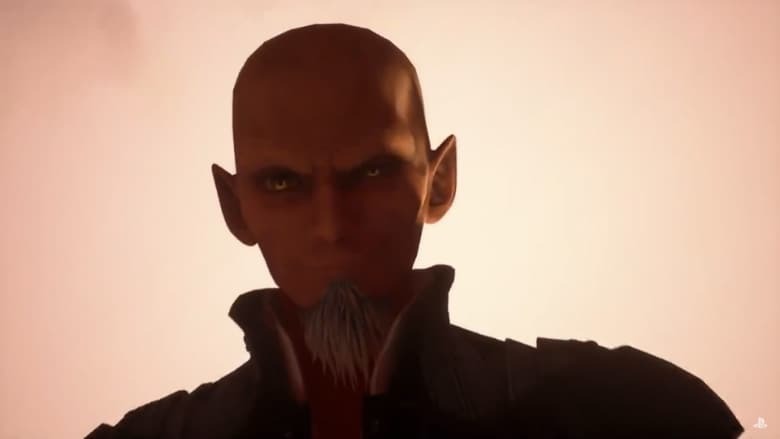 Finally, the Kingdom Hearts 3 trailer concludes with the series main villain making an appearance – Master Xehanort. Kingdom Hearts 3, now officially finished, is scheduled to hit PlayStation 4 and Xbox One on January 29th.